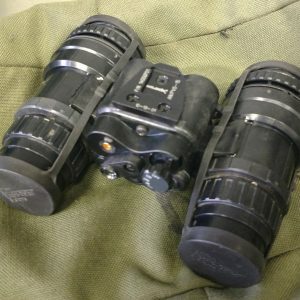 The Dual Tube Night Vision Goggles (DTNVG) is a lightweight binocular night vision device giving full depth perception or all sorts of terrain – with the DTNVG the user will have that at a very low weight with all features necessary. 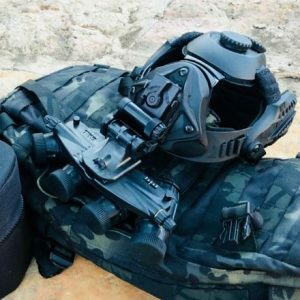 Low profile while folded to the helmet, self-supporting structure while stored and ergonomic design are key aspects of the DTNVG. 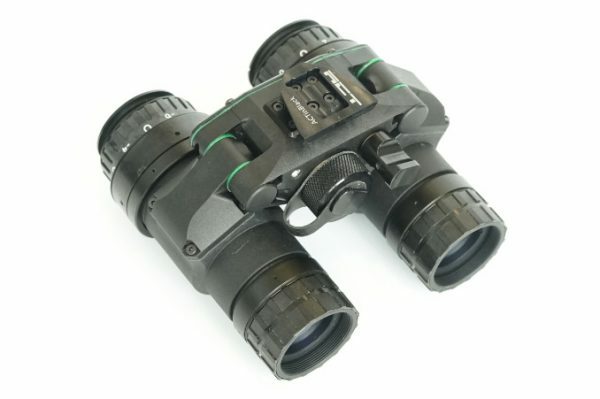 At a weight of slightly above 500g it is lighter than any other binoculars in its category. 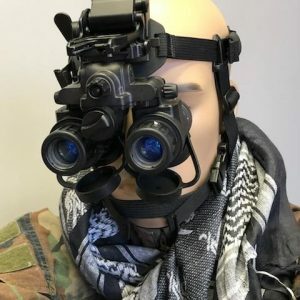 To complete the DTNVGs feature it incorporates built-in IR LED for close quarter missions with separate IR-on indicator and Low battery indication in the field of view. The whole DTNVG is controlled by just one central pull switch in the front of the device. Functions are ON/OFF, IR-ON momentary, IR-ON steady (pull).